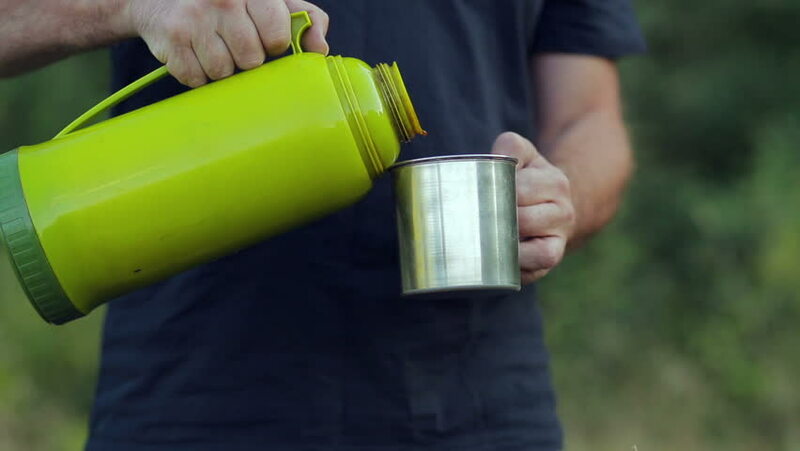 men's hands pour hot tea from an insulated mug into a silver mug. hd00:05men's hands pour tea from a thermos into a mug. hd00:17Bees. Beekeeper takes away smoker after finishing work in apiary. 4k00:28Focused female store owner taking a plant from soil and placing it in a pot in interior boutique plant shop with soft day lighting. Close up shot on 4k RED camera. 4k00:13Woman Drinks Mulled Wine from a Plastic Cup while Standing on the Street in Winter. The girl in the Christmas market is holding a green plastic cup with hot wine. hd00:16Cup of Fresh Black Coffee with Steam Outdoors. Slow Motion. HD, 1920x1080.